Singapore is experiencing skills shortage of talented professionals in big data, general digital skills, cyber security and more. All these tech skills are required for working in the cloud on the Amazon Web Services (AWS) platform, and demand for AWS skills themselves are on the rise. Organisations can help bridge the skills gap by training their staff or new employees with the tech skills their organisation lacks and by training the right staff, they can put their retention strategies in place. This includes ongoing support and training to staff for professional development and thus showcase to their employees, they are valued. In response to this trend toward many Singaporean organisations listing Amazon Web Services (AWS) skills in job descriptions and looking for IT staff, CITREP+ now offers a winning-edge to Singaporean IT professionals by providing access to funding for AWS training and certification. 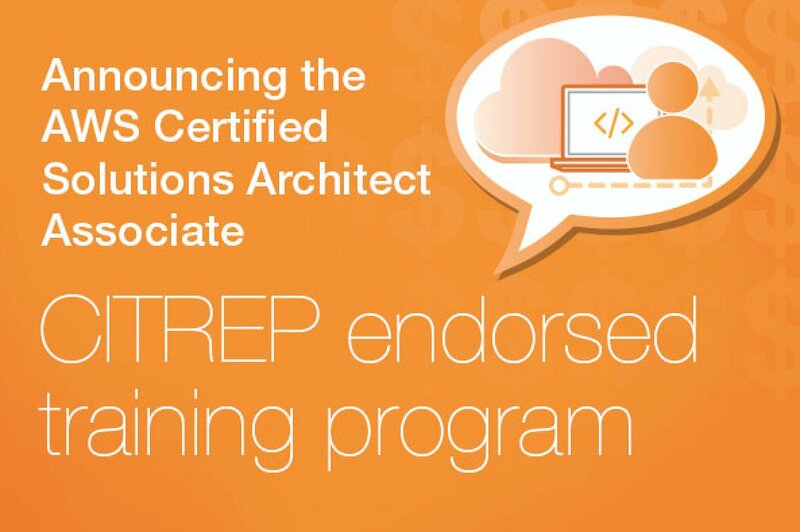 As the only authorized Amazon Web Services (AWS) training partner for Singapore, Australia and New Zealand, Bespoke Training Services is excited to announce the AWS Certified Solutions Architect Associate CITREP+ Endorsed Training Program. The program provides self-sponsored students and/or organisations supporting their employees, the opportunity to apply for CITREP+ funding – up to 70 percent professionals and up to 100 percent students and / or full time national service (NSF) are subject to funding eligibility. According to Hays Singapore, AWS certification is among the IT competencies commonly found in job descriptions in the Singapore market, and demand for AWS skills is growing. “As more businesses look towards cloud computing to maximise operational and cost efficiency, we have seen more roles requiring cloud computing competencies,” said Nabil Farrag, Team Manager, Hays Singapore. The Critical Infocomm Technology Resource Programme Plus (CITREP+) supports professionals in keeping pace with technology shifts through continuous and proactive training. Through training, they will acquire technical skills sets that will enable them to remain relevant and productive. Applicants must first determine eligibility, to enrol and complete the program through certification as per the CITREP+ claim procedure and conditions. “The AWS Certified Solutions Architect certification is recognised around the world and was listed by Forbes as America’s top paying IT certification in 2016. With the demand for AWS skills on the rise in Singapore we are pleased to offer a program to help Singaporeans achieve this valuable certification,” said Gilbert Cheo, Business Development Manager, Bespoke Training Services, Singapore. “Our 5-day, AWS instructor-led, authorised AWS training program takes IT professionals through Solutions Architect skills development, then an exam readiness workshop to prepare to sit for the certification exam. Also included is the cost of sitting for the actual exam,” said Cheo.